​Tottenham Hotspur manager Mauricio Pochettino is reportedly interested in signing Scottish winger Oliver Burke from West Bromwich Albion as he eyes offensive reinforcements ahead of the January transfer window. The Argentine failed to recruit any new names over the course of the summer and with his side two points off joint-leaders Manchester City, Chelsea and Liverpool, the former Espanyol and Southampton boss looks set to spend as much as £100m in the new year in an attempt to challenge for the title, according to ​The Express. 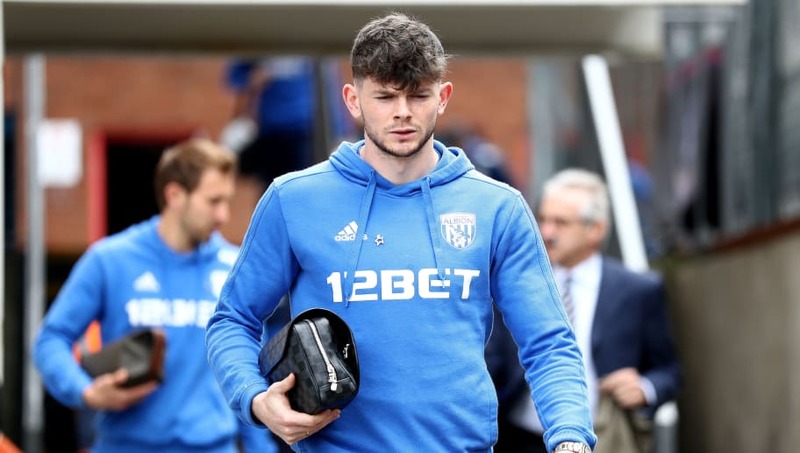 Burke arrived at West Brom last summer for a fee of £15m from RB Leipzig, but has endured a difficult spell at the Hawthorns. The winger has made just five appearances in all competitions this season, with the majority of those coming in the Carabao Cup. His only league appearance came on the opening day of the Championship against Bolton, whn he made a 14-minute cameo off the bench. He has been involved in three goals, however, scoring against Luton Town in the EFL Cup first round and providing the assist in the following round against Mansfield Town, before providing an assist in ​West Brom's EFL Trophy win over Blackpool. ​The Mirror also suggest that Pochettino is hoping to bolster the heart of his midfield with the acquisition of Tanguy Ndombele from Lyon. It is believed that the Frenchman was on Pochettino's radar over the summer, but the Lilywhites had a £40m bid rejected by les Gones. His value has since been reportedly increased to £55m by the Ligue 1 outfit - following two international appearances for France - to fend off further interest from ​Spurs. However, the north London side now face competition from Manchester City, who are hoping of luring the midfielder to the Etihad after missing out on Jorginho in the summer. Meanwhile, Eric Bailly is another name on the Argentine's January wish list. The Ivorian has played just 90 minutes in three of his seven appearances in all competitions this season. He has seemingly fallen out of favour under José Mourinho and Pochettino is looking to swoop in and give the defender a chance to revive his career in the Premier League, having arrived from Villarreal in the summer of 2016.